No statement of edition or printing on the copyright page. No printed price. Possibly a book club edition, but there is no other indication. "Edited by Yoji Kondo" stated on the title page in much larger type than the author's credit. The copyright page contains the complete Library of Congress Cataloging in Publication Data including the year of publication (1992), the ISBN (0-312-85168-5), and the LCCN (91-38909). "Jacket art by Pat Morrissey" (over) "Jacket Design by Carol Russo" printed on the back flap of the dustjacket. 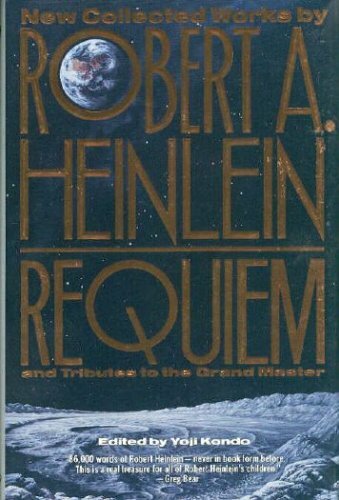 259 • Recalling Robert Anson Heinlein • (1992) • essay by J. Hartley Bowen, Jr.